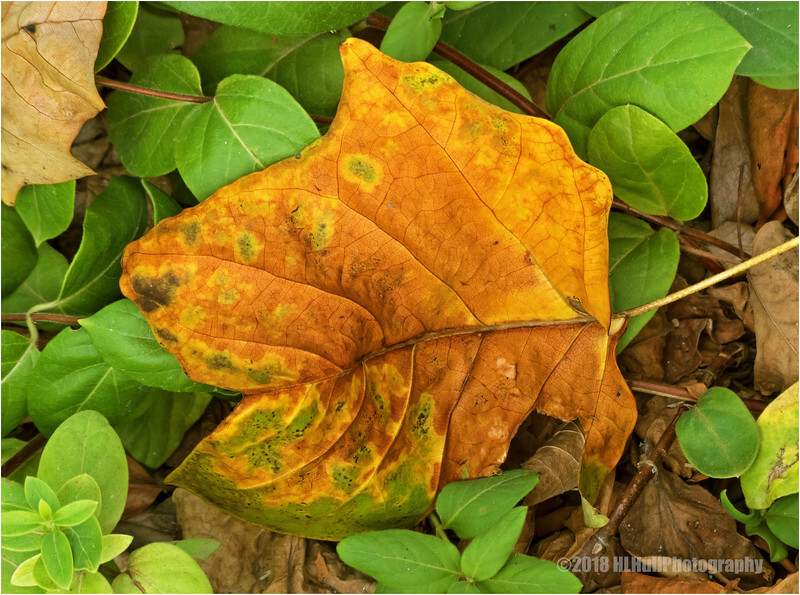 Interesting to see just a bit of green left on this fallen leaf. Little leaves, so happy and free, Hung from a branch of a what knot tree. The wind came whistling all around, And one little leaf came tumbling down, Nice one Howard. Great find. You made the most of it. Fantastic shot - love the colors! That's a gorgeous leaf. Well shot!